4 peat gold for Lorne 31 in Open Men Surf boats. This hasn’t been achieved by a Club since the 1960’s when Point Lonsdale dominated surfboat rowing. Gold in the Open Surf Teams, with 3 under 17s and a Master! (Thomas Hay, Billy Bowden, Michael Garbelotto and Tristan Read). This hasn’t been achieved by Lorne for many, many years. Gold for Lorne Jeray in the Open Women Reserve Surf boats, with Lorne Atics and UniLornes completing the trifecta! 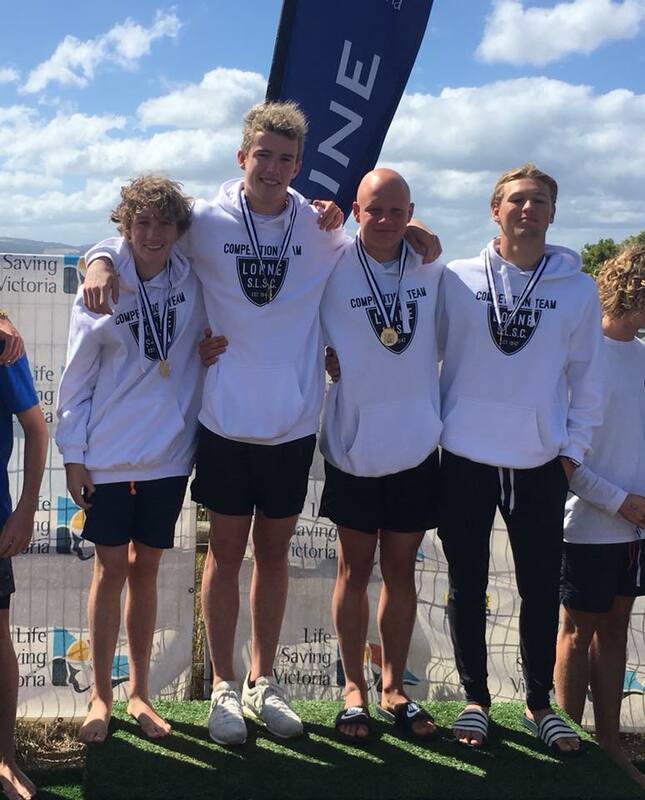 Will Garbelotto, Nathan Vabec, Kai Enticott, and Seb Hadaway silver in beach sprint relay. Nathan, Hamish, Seb and Will Gold in Aqua Cameron. Nathan, Seb, Hamish Silver in board relay.